In fact, Bayer is so concerned about the risks for infertility that they recommend the device not be used by anyone who has not yet had at least one baby. When the device is defective, it may need to be surgically removed. In extreme cases, a hysterectomy (surgical removal of the uterus) may be required. As of mid-May 2013 there were 46 filed Mirena cases in federal courts. Those cases have been consolidated into a type of class action known as multidistrict litigation (MDL)—the case is MDL 2434: In Re: Mirena IUD Products Liability Litigation. An MDL occurs when there are similar cases filed in the federal courts. In some circumstances, the cases can be combined for pretrial management. They are overseen by one judge in one court somewhere in the United States. Medical device defendants fight consolidation but usually it is in the best interests of everyone involved because it saves a ton of money in gathering the core facts common to all of the suits. Here, the Mirena suits were consolidated on April 8, 2013 (see transfer order here) before Judge Cathy Seibel in New York. Judge Seibel recently requested that the plaintiffs’ committee that helps to guide the litigation include more female lawyers “given the nature of the litigation.” Bayer opposed the consolidation (interesting, particularly when they supported consolidation of New Jersey state cases in 2012). New York is a good location—Bayer has corporate entities located in New York and nearby New Jersey. These cases all allege perforation, migration, or similar injuries. The next case management conference, where leadership and other issues will be discussed, is July 1, 2013. There are additionally about 113 Mirena lawsuits filed in New Jersey state courts, with a smattering of other cases in Mississippi, California, Missouri, and New York. 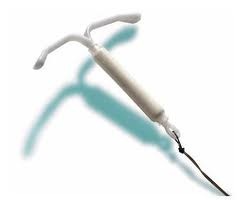 If you or a loved one has been injured by a Mirena IUD, contact us at 1.800.553.8082 or contact us here. We can tell you about the current state of Mirena settlements and lawsuits, and we can help you to determine if a lawsuit is right for you.